My mom gets Reader’s Digest each month. In the October 2017 issue, they published an excerpt from Judith Newman’s book To Siri With Love. The excerpt piqued my interest, so I borrowed it from the library. On the exact day I started reading it, I saw a campaign on Facebook using the hashtag “#BoycotttoSiri” I read the articles about the book and was heartbroken. This mother can’t be this bad, can she? Spoiler alert–she is. There is a type of mother in the autism community called the “autism mom.” This is a mother who sees herself as a martyr because of the “suffering” she goes through for her child. She will complain endlessly about how terrible it is to raise a child. They rarely, if ever, celebrate the joys of motherhood because they don’t see it as joyful. They see it as a burden. That is my first problem with this book. She even has the audacity to ask if her child is thinking and say she is unsure if autism should be cured. (The correct answer to that question that should never even be asked is NO! Not yes, or maybe, or unsure–NO!) The reason this is a problem is that these parents don’t seem to realize that EVERY parent has difficulty raising children, even the ones who aren’t autistic can be difficult! This does NOT make you a martyr. My second problem is how she treats autism advocates. She is very condescending about them, almost as if she doesn’t value their opinion. In fact, when autistic YouTube personality Amythest Schaber called her out for calling her a “manic pixie dream girl” (a derogatory term for overtly cheerful women. Because autistic women can’t possibly be cheerful), Newman didn’t apologize–she gaslighted her! She made it seem as if, by not asking for her permission to be quoted, she was doing her a favor. A “nice surprise”, she called it. She then called her a brat because Schaber still persisted to criticize her dehumanizing book. In short, if you don’t share her POV, you’re not worth her time. As someone who uses Facebook, I see many articles about autism shared around, and often from an ableist perspective. One way to tell if the article you’re reading is going to be full of misinformation is if you see the image above. I hate it. HATE IT! Allow me to explain why. First off, it conveys the image that autistic people are isolated from society. They are not. Yes, many are extremely introverted, or in some cases they may even be non-verbal. But neither should be a barrier to communication. There are more ways to communicate than with words: hugs, handshakes, giving someone a “high-five”, waving, etc. 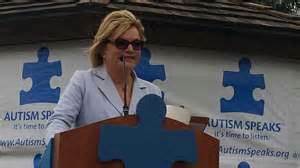 I opened my Facebook this morning and discovered that Suzanne Wright, one of the founders of Autism $peaks, has died of pancreatic cancer at the age of 69. I knew right away that I had to make a blog topic about this. I am not sure how I should respond to this. Autism $peaks is an organization that is misunderstood by the press and vilified (and rightfully so) by the autistic community. Despite their motto being “It’s time to listen”, they have not once listened to the people they claim to represent. Their platform has always been not helping autistic people, but curing them of autism. They see autism as a disease. They do not wish to understand us. The only way to truly “cure” a person of autism is for that person to not exist at all. As many of you know from my other two articles about Peanuts, it’s one of my all-time favorite comic strips. 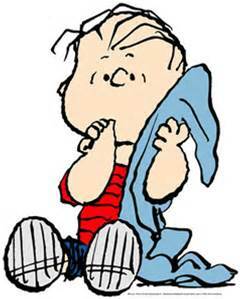 My favorite character is Linus Van Pelt, the middle child of the Van Pelt family. In fact, I think he may be autistic. Of all the characters in the strip, Linus seems the most intelligent. His dialogue is often prone to monologues. He will go on talking about any topic he is most interested in, especially the Great Pumpkin, baseball, or the Bible. In the Christmas special, he’s the only one who still knows the true meaning of the holiday–everyone else is too wrapped up in the frivolity and consumerism. In Halloween stories, he’s the only kid who believes in the Great Pumpkin, and the rest of the kids often ridicule him for this. His interest in baseball rivals that of Charlie Brown’s. One Faith, Many Paths Special: Interview with…Me! I’ve reached another milestone. This will be my 200th post. I’ve decided mark this occasion by presenting an interview with someone I will interview in the future and allowing him to ask the questions, rather than the other way around. I figured this would be a great way for new readers to know me better. You’ve been a Catholic all your life, and I know your faith is central to your life. Have there been times when you questioned? How did you handle that? I believe that if you go through your life as a Christian without once doubting yourself, then you are spiritually blind. Yes, I’ve doubted. When I learned about all the atrocities that are often linked to Christianity, I doubted whether I should consider myself part of it. What kept me in the faith was that I reminded myself that I only have my own actions to ask for, not anyone else’s. God knows my heart. I also read up on the saints. When I saw all they did for the glory of God, I wanted to be a part of that. Your autism is another part of you. When did you first realize you were different–even special in terms of those around you? I think it first happened in high school. When I finally became mainstreamed, I never experienced a desire to wear a mask and pretend I was something I wasn’t. Then in college, my counselor told me and my mother that she thought I had Asperger’s. At first, It never really clicked. But my mother insisted that I do research on the disorder, if only to explain it to others. It was that research that opened me to the possibility that it was a gift. It also made me realize that God had possibly meant for me to spend all those years in Special Ed that I had spent for my bad behavior, especially my temper. A follow-up to that–what do you think is the biggest misconception about Autism and Autistic people? I think there are two. The first is that it is something that can be removed or outgrown. While it is true that some autistics can “pass” for being neurotypical, that doesn’t mean we’ve outgrown autism. It just means we’ve adjusted to what society expects of us. The second is that we don’t have emotions. I think this is often perceived because we often express our emotions differently from those not on the spectrum. In fact, there has been research that has concluded that our emotions and those of our peers can often overwhelm us, perhaps more easily than those not on the spectrum. What are some of your favorite hobbies and what do you enjoy about them? I am an avid reader, especially of science fiction. I think what’s best about it is that it allows me to escape from the pressures of this world. It allows me to unwind when I experience a world that is different from my own. How would you define your life philosophy–to put it more simply, do you have a personal motto? My motto is to always try to find the good in everything. I’m not always living by this principle, but I’ve learned there is good in everything that happens. If I focus on that, it helps me not to fall into despair. Author rocklobsterjwtPosted on July 9, 2016 July 10, 2016 Categories autism, One Faith, specialsTags autism, Catholicism, interviewLeave a comment on One Faith, Many Paths Special: Interview with…Me!